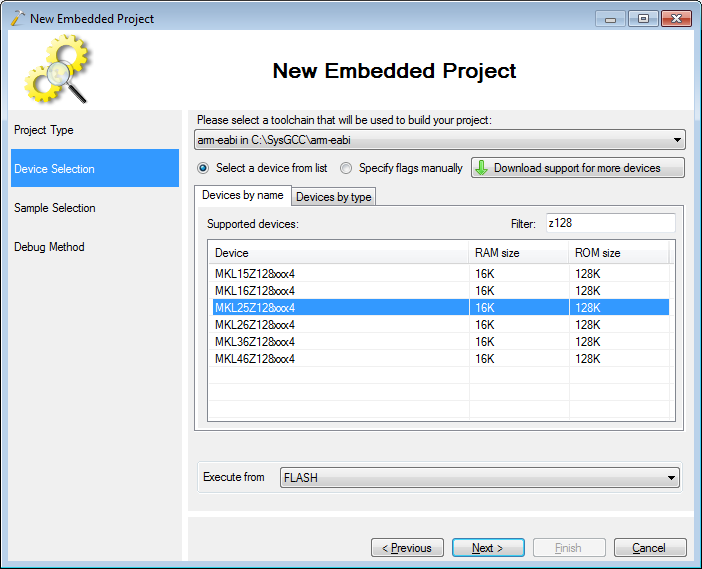 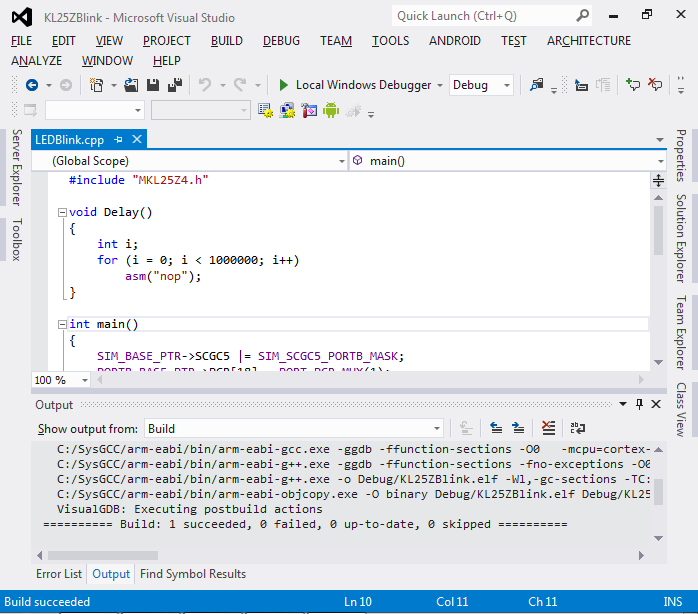 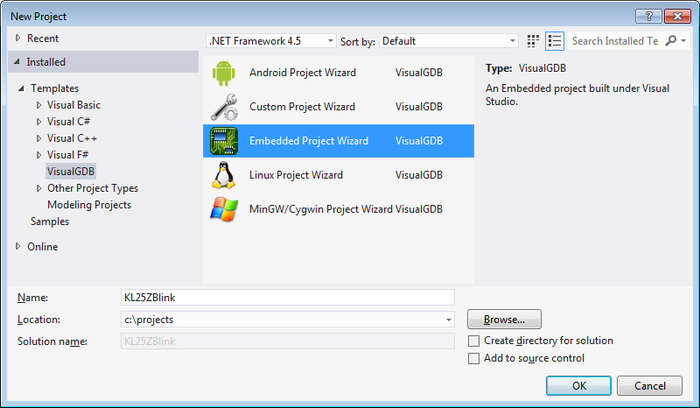 This tutorial shows how to make a basic ‘Blinking LED’ project for the FRDM-KL25Z development platform with Visual Studio using the VisualGDB add-in. 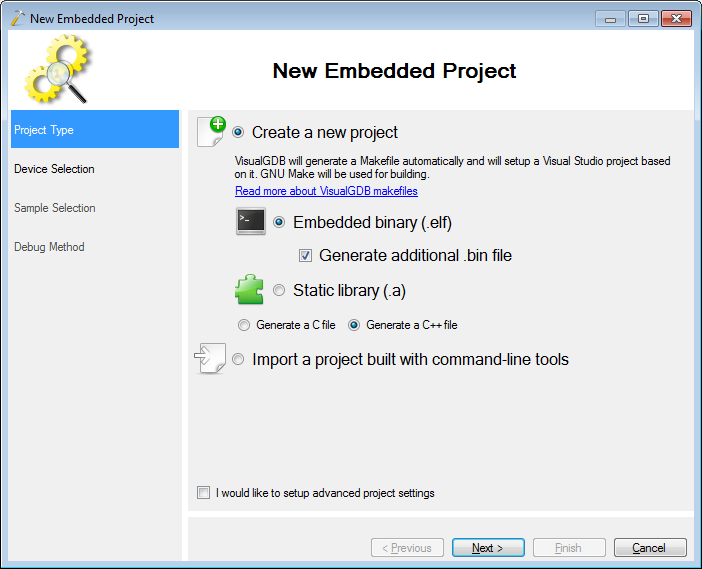 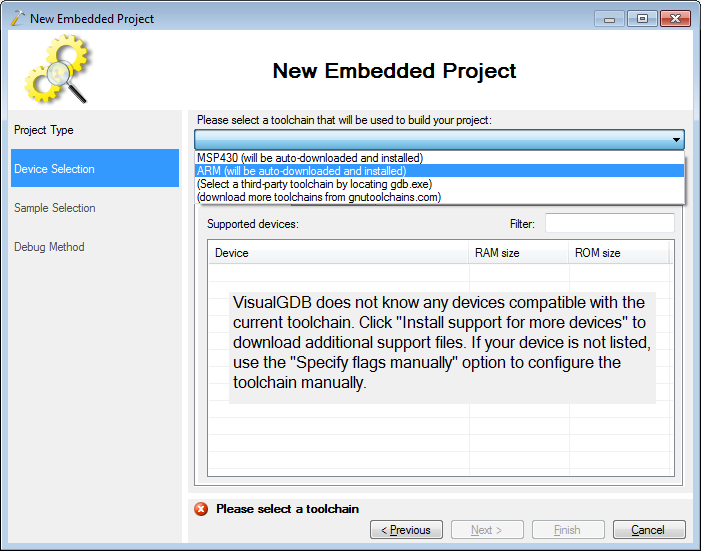 Before you begin ensure that you have VisualGDB 4.1 or later installed. 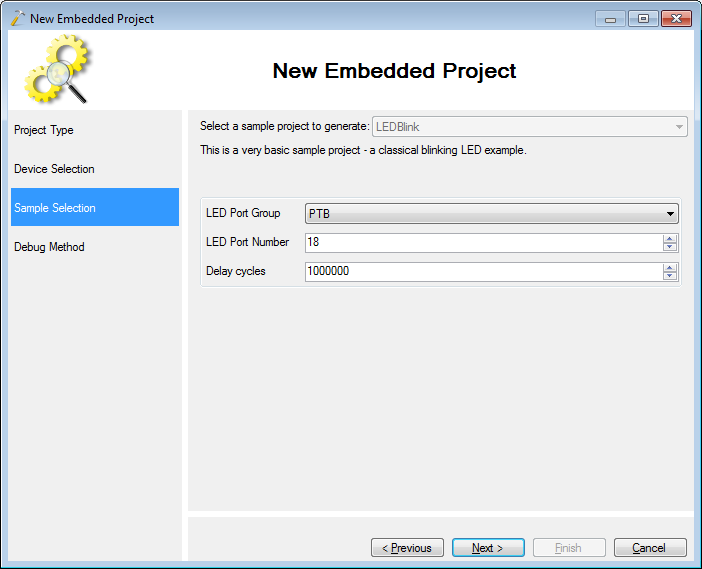 The last page allows configuring debug settings. 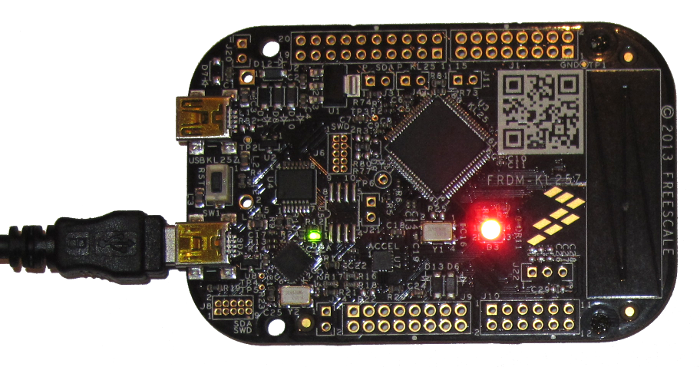 The FRDM-KL25Z board is equipped with the OpenSDA circuit that can itself be programmed to emulate various hardware debuggers. 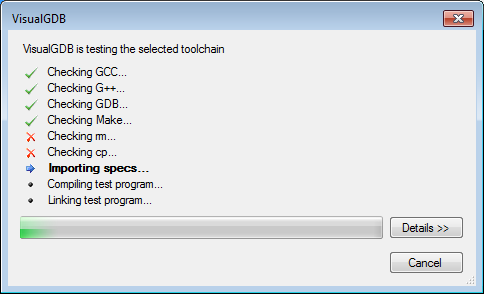 In this tutorial we will use the Segger J-Link firmware and show how to use the Segger tools. 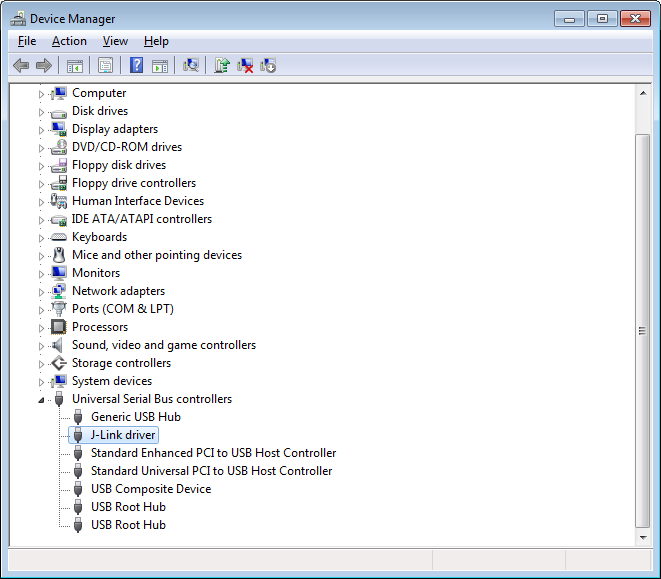 Hold the reset button on the board and plug it into the USB port while holding the button (use the lower connector labeled as SDA). 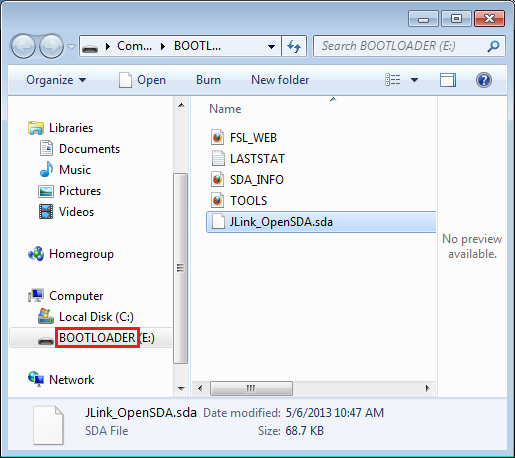 A new drive called ‘BOOTLOADER’ will appear in Explorer. 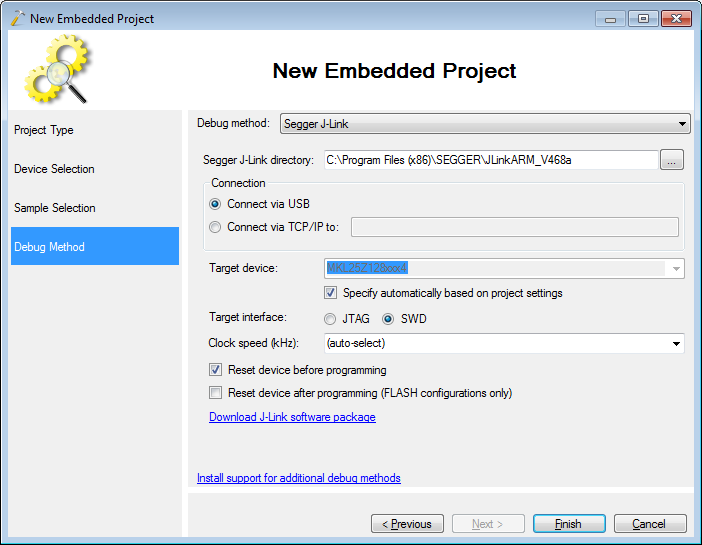 Download the Segger firmware from this page, unpack the archive and drag-n-drop it to the ‘BOOTLOADER’ drive: Warning: if the drive label is not ‘BOOTLOADER’, you were not holding the ‘Reset’ button while plugging in the device. 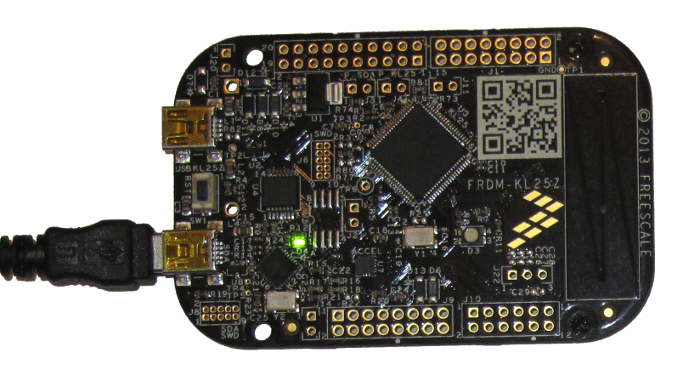 Do not copy the OpenSDA file in non-bootloader mode as it will be programmed into your KL25 microcontroller instead. 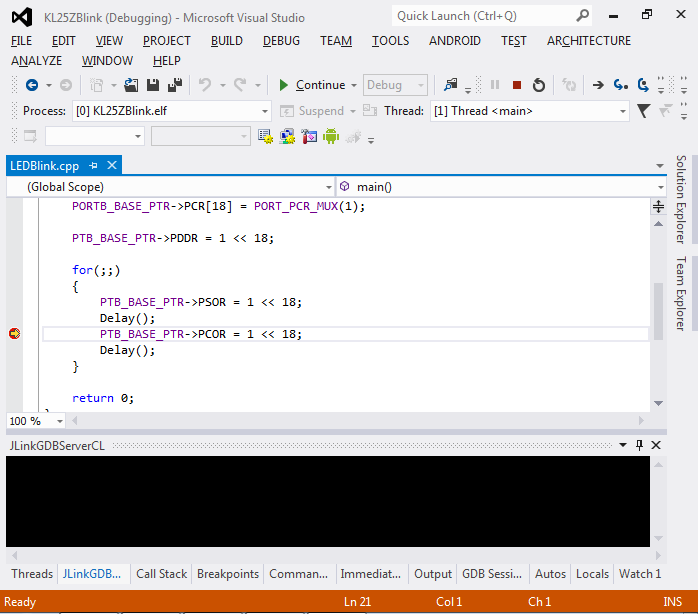 Press Shift-F5 to stop debugging.